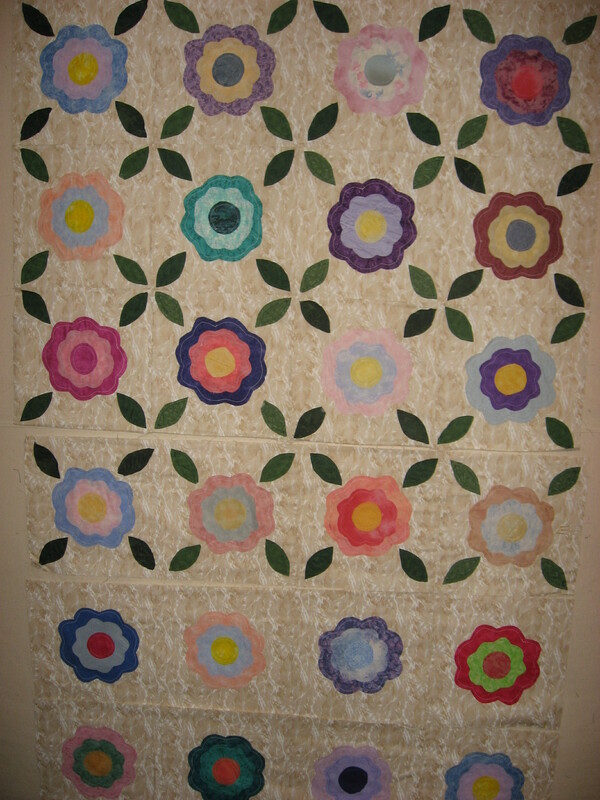 Well, I finished the mystery quilt top that has been on my design wall for ……I can’t remember how long it’s been there! LOL!! Anyway, it’s done. YEA!!! After completing that top, I wasn’t sure which project to tackle next, so I went through some of my really old UFO’s and came up with this one. I look at it and think “WHAT IN THE WORLD WAS I THINKING??? ?” I know why it went in the box and hasn’t seen daylight in years!! 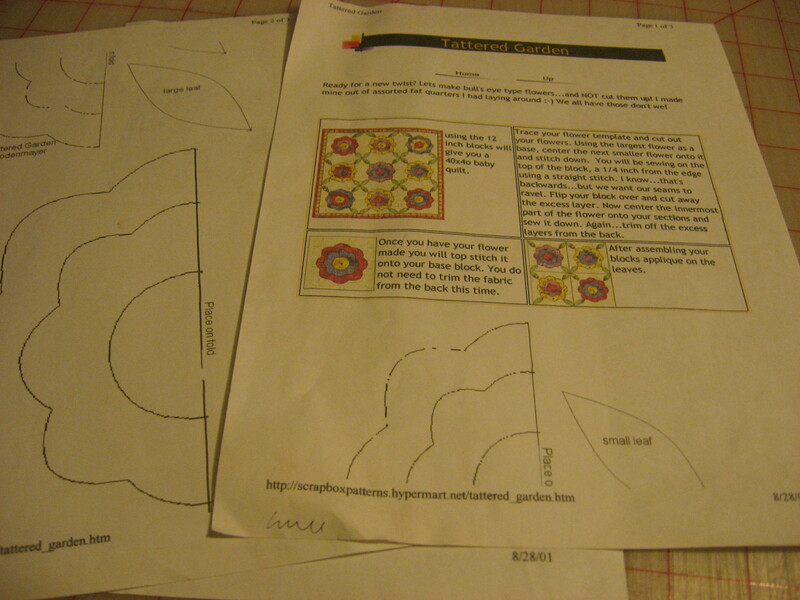 I printed the pattern off the internet back in 2001. I think I’ve lost some of the instructions. 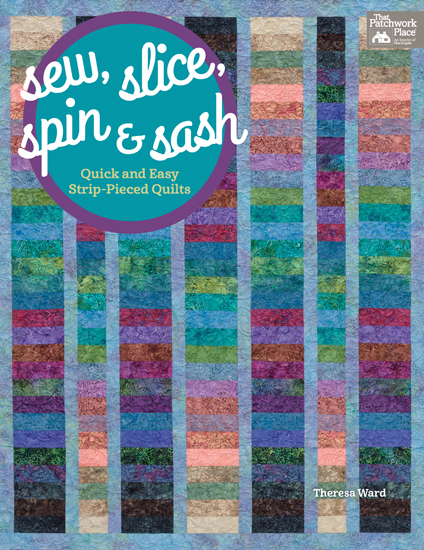 Anyway, I remember that I really liked the quilt back when I saw the pattern. It’s made like the bullseye quilts except that you don’t cut the flowers apart. The leaves are supposed to be appliqued, but I don’t like applique so I thought, I can just do them raw edge like the edges on the flowers. Now I’m not so sure that was a wise choice. I can’t decide if I should take off the leaves and applique them down or just continue doing the raw edge that will fray……….? 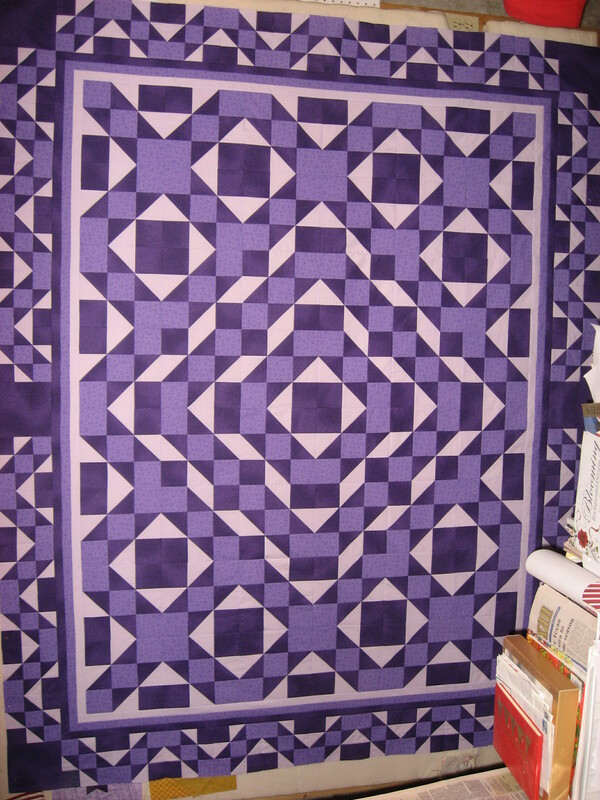 Anyway, the quilt top is on the design wall and will stay there until it’s done.